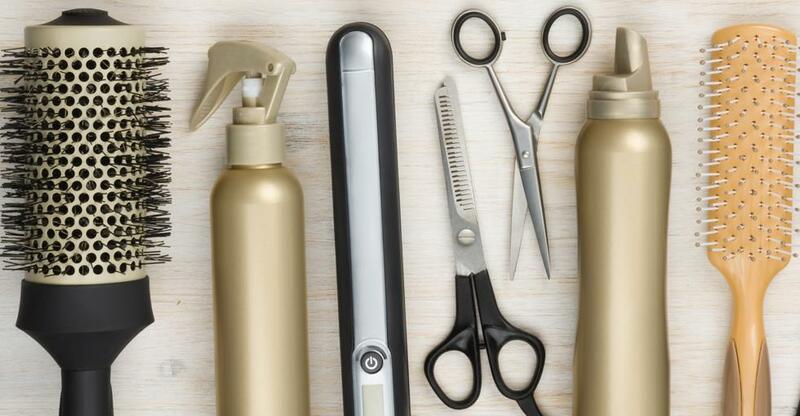 If the industry’s fortunes will make or break your decision to enter the hair-salon business, you’ll be pleased to know that hair care is a particularly lucrative industry in South Africa. Euromonitor International estimates that R12,1bn of wet hair products (shampoos, relaxers and hair lotions) were sold in South Africa, Nigeria and Cameroon in 2016. Black South Africans, which account for 88% of the population, tend to spend more on their hair than their white counterparts. Garron Reynolds, managing director of FR!KA Hair, which supplies dry hair products (braids, weaves, wigs and hairpieces), values the South African black-hair market at around R4,5bn and the overall market at about R6,1bn. Explaining the disparity, he says: “It is commonplace for a black woman to change her look completely, going from short to long, curly to straight, weave to braids.” Although these hairstyles can last for up to three months, they more typically last about six weeks. Upmarket salons often supply natural Indian hair to more affluent customers. Braids are more common among those on lower incomes, though they will often have friends and family weave them in at home, even if they might buy the braids from a salon. Manicures and false nails are also popular. But Black South Africans “are increasingly demanding products that are less damaging to their hair […] shifting towards natural hair styles that are chemical-free and are trying to grow their hair out,” according to the Euromonitor report. Reflecting the importance of hair care to South Africans, salons and barbershops are a frequent sight in townships, shopping malls and affluent neighbourhoods alike. The sector’s resilience during the current adverse economic conditions in the country attests to its recession-proof nature – in South Africa at any rate. Hair salons for sale in South Africa typically sell for anything from R200,000 to R2,5m – with a typical price probably being about R800,000. On top of the value of premises and equipment, they tend to be valued by multiples of pre-tax income – often 2-3 times – plus inventory, or total revenue multiplied by 25% to 35% plus inventory. With fashions changing rapidly in the beauty business, buying a business with a large inventory might not necessarily be an unequivocal plus point. Barriers to entry to the trade are low and the more crowded the local market, the lower the valuation is likely to be. If a salon is based in an area with high footfall then the establishment will obviously get more passing traffic and attract a higher price. Nevertheless, a reputable establishment in a less auspicious spot can still get plenty of repeat business, as customers often favour a salon they trust rather than getting their hair done on a whim. A hair salon’s revenues are not a reliable barometer of your prospects post-purchase unless you can be sure that its top stylists are willing to stay on under new management. After all, the skills of employees count for more in this industry than in many others. Repeat customers are often loyal to a particular stylist rather than the salon itself. More problematic still, if the outgoing owner is the salon’s star stylist, how many customers might decamp to a rival once the business is sold? For this reason it might be worth insisting on the inclusion in the sale contract of a non-compete clause. This is also a sector with high staff turnover, while recruiting replacements takes time and money. How many customers might you lose in the meantime? Not too many, perhaps, if you have faith in your own hair-styling skills and have enough contacts to recruit quality replacements quickly. Otherwise, the post-sale status of employees should form a key part of negotiations. Many beauty salons can’t live on hair-styling alone. If your target business provides manicures, waxing, massages or the retail of hair-care products, then you know you’re buying a business with competitive advantages and a reassuringly broad revenue base. If not, then the number of stations and rooms in which to conduct waxing and other services is another important consideration. A period of due diligence should follow a provisional agreement to the transfer of ownership. As the buyer you need to conduct comprehensive checks of physical assets, accounts, employee contracts, documentation of assets and liabilities, and other relevant paperwork to verify claims about the business made by the seller. Cash still accounts for a substantial portion of takings in this sector, especially in townships. To verify income, therefore, ask for tax returns and sales tax returns. Because financial statements are not the most reliable barometer of revenues, you should instead examine sales reports generated by the point-of-sale cash register. The acquisition accordingly becomes riskier if the seller claims, truthfully or not, that such data is unavailable. A bookkeeper or accountant can help you check that financial statements tally up with source documents like receipts, bank statements and the general ledger. Compare monthly sales to the rent amount and consider how much of a safety margin you’ll have should you suffer a downturn in trade. Conversely, consider the prospects for growing revenues by recruiting better stylists, improving marketing and deploying other strategies you might have dreamt up. It’s also worth visiting the premises with the mindset of a customer – perhaps even sampling a haircut (but not from the owner; they’ll be leaving)!